Injury prevented him from suiting up for World Cup of Hockey 2016, but it didn’t derail the competitive fire in Radko Gudas. To say he was disappointed at not being able to play for his homeland would be an understatement. To say he’s happy it’s in the rear view mirror - ditto. Gudas’ passion for hockey and robust style of play was passed down through his father, Leo. The elder Gudas, also a defenceman, played throughout Europe starting in the late 1980s until the early 2000s. He was selected by the Calgary Flames in the 12th round of the 1990 Entry Draft, but never played in the NHL. After he hung up his skates, Leo joined the coaching ranks, also in Europe. Father and son have also skated in the Olympics. Leo suited up with Czechoslovakia in 1992 and Radko played with the Czech Republic in 2014. One other thing they share in common: a penchant for dishing out big-time body checks. His father is no doubt thrilled, too, especially when he looks at the 1,064 hits his son has delivered in only 273 career games. Gudas made his NHL debut as a member of the Tampa Bay Lightning on March 12, 2013, against state rival Florida. In a sign of things to come, he blocked three shots and recorded two hits. That season, he ranked seventh among NHL rookies with 87 hits despite only playing in 22 games. In 2013-14, his first full NHL campaign, Gudas turned plenty of heads with his gritty play. He was third among Lightning blueliners with 22 points, including three goals, in 73 games, leading the Tampa Bay hit parade with 273 (tied for third overall) while ranking second on the team in blocked shots with 138. Dealt to the Philadelphia Flyers with a first-round and third-round draft pick in 2015 for Braydon Coburn on March 2, 2015, Gudas has furthered his reputation as an impactful double threat. Despite missing 15 games in 2016-17, he posted an NHL personal-best six goals and 23 points. He also chipped in with 280 hits and 124 blocked shots. 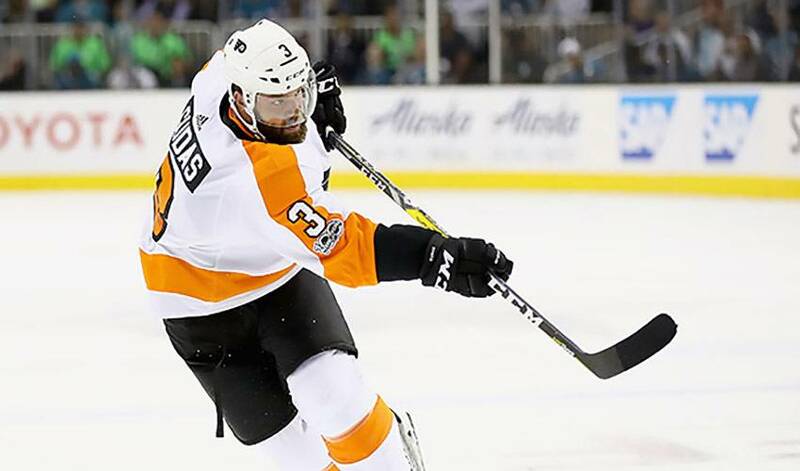 Numbers – and an approach – that would certainly make Radko Gudas a big hit with his father.